Please either scroll down or use the links at the top of the page. Two carefully maintained full size Snooker tables, cues and a full range of equipment. Gas central heating with atmospheric monitoring to ensure optimum playing conditions. A kitchen area with fridge, worktops, sink and tea or coffee making facilities. Disabled toilet facilities and a ramped access to the building. Off road parking behind the premises (subject to availability and at own risk). Our club is open to all and anyone can apply to join, but please note that currently we are full and a waiting list for Membership is in operation. 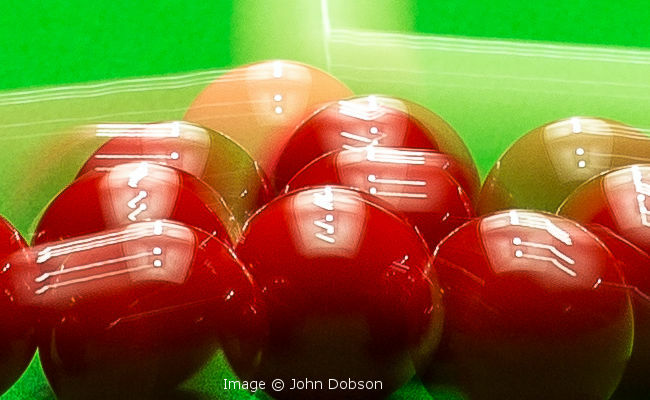 We currently have two teams playing in a highly competitive Harrow & District Snooker & Billiards League during the winter months. If you wish to know more about our club or have any other enquires click the contact us button below. A copy of the Club's Constitution and Rules may be seen by clicking here. It is in pdf format designed for duplex printing and folding into 3 to form a leaflet. Eastcote Billiards Club was originally part of the Eastcote Working Mens' Institute, formed circa. 1892. The institute was an umbrella organisation for a number of activities, sporting and social, each of which operated under its own management. In the late 1930s the Institute moved from premises in Joel Street to Eastcote House. The Billiards Section was housed in the Stable Block (incorrectly referred to in following years as the Coach House) once the building had been renovated with water, gas, and electricity installed, and connected to the main drainage. This work was funded by the Eastcote Village Trust, a private fund set up by the Philip and Jacques families, which supported many local activities, including Scout and Guide groups, as well as the Townswomens' Guild. George Philip (of Philip's Educational Publishers and Stanford's, the map makers and sellers) was President of the Club until his death in the late 1980s. During the 1950s the Institute lost most of its support and was eventually wound up. 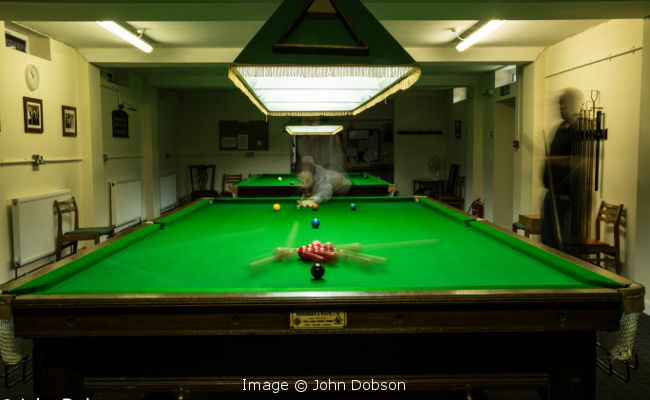 The Billiards Club continued to operate as a stand-alone, self funding activity, occupying the Stable Block until 2013 under a maintenance lease which required the Club to assume responsibility for the upkeep of the building. Major works, such as re-roofing carried out in the late 1950s, were funded by loans from the Trust. During the early 1980s the Club carried out extensive building repairs, both internally and externally. A large area of external brickwork was taken down and rebuilt, using the original bricks which had to be individually cleaned of old mortar. Guttering and down-pipes were replaced using lead; these were custom-made to ensure conformity with the character of the building. Internal plasterwork was stripped and replaced on the northern gable end. Flooring was sanded and sealed and ultimately carpeted. Wooden beams were treated against rot and predators and extensive re-decoration carried out. The roof was re-tiled and in the mid 1980s the entire building was re-wired. Other than the public purse being used to install simulated leaded light windows on the car park aspect, and in 2008 some roof repairs carried out by the Local Authority, the Club never received any public contribution. Whilst housed in the Stable Block, the Club was never wealthy and much of the work done on the building was undertaken by members on a voluntary, unpaid basis. Materials costs were met from Club funds and these were sometimes inflated by the need to meet the strictures on what was permissible in respect of a building which was partially Grade II listed. In the early 2000s, a combination of the terms of the maintenance lease and a declining Membership had a disastrous effect on the Club's finances to the point that consideration was given to its winding up. Fortunately, the incumbent Hon. Treasurer, John Nutkins, instigated changes, the most important being to achieve the Club's registration as a "Community Amateur Sports Club" which significantly reduced the Club's outgoings. At about the same time, Harry Slater, the Club's Hon. Secretary, instigated a Membership recruitment campaign, whereupon a number of new Members joined particularly from the Eastcote Park Estate, adjacent the site of the Club. Apart from the two Billiard tables, there were/are few facilities present which one might normally associate with a private club. For instance, there was/is no bar, a conscious decision taken because of the security problems which might have otherwise arisen and for the same reason no gaming machines ("one-armed bandits") were installed. Toilet facilities were somewhat rudimentary. Heating a building of this nature was problematic, reliance initially being placed on gas fires (eventually condemned) when the club was open and latterly electric storage heaters which did nothing to help the Club's finances. The variable conditions (heating and humidity) also had a deleterious effect on the running of the Billiards tables and during the winter months in particular attendances were adversely affected. In short, Members joined and played because they had a keen interest in playing Billiards and Snooker, and for the camaraderie in meeting up with friends and colleagues. Tucked away out of site of the main road and at night in almost total darkness, the building was a target for vandalism. Break-ins occurred many times over the years (on one occasion the baize from one of the Billiard tables was removed with a Stanley knife) and there were two attempts at arson, the second of which caused considerable damage to the point which, as reported by the attendant fire officer, "another 5 minutes and the building would have been lost". Whilst the Club had building and third party insurance, much of the costs of repairs were met out of Club funds, otherwise the insurance costs would have spiralled to prohibitive levels. There have also been confrontations between Members and groups of youths intent on doing damage. Long before the gate was installed to prevent vehicular access to the car park in the evening, Members and guests chose to park in local streets to avoid potential damage to cars. From time to time the question of the continued tenancy of the building by the Club was raised. This seemed to arise after prompting by people who had not the slightest notion of the nature of either the history of the building nor of the Billiards Club which had occupied it and maintained it for so long. It was sometimes difficult not to be angered by the imputation that people who play Billiards and Snooker were unworthy to have charge of a historic building (ironical considering that the majority of the Members were themselves local residents many of whom were retired). Fortunately, in more recent enlightened times, the "signs of a misspent youth" philosophy has waned. A proposal that the Club might move to premises in Ruislip, which the Club was keen to pursue, foundered when local residents objected to a "Snooker Hall" being opened nearby. The Club was given no opportunity to meet those involved to offer reassurance as to the actual nature of the Club. Yet more annoying was that the Club was rarely made aware that such discussions were in train, although the efforts on our behalf by Catherine Dann, the local councillor (later Mayor of Hillingdon) in ensuring the Club received a hearing must be acknowledged. Throughout the difficulties experienced during the 1990s/early 2000s (break-ins/vandalism etc. and dealings with the local Council) the Club had the very welcome support of Mrs Sheila Liberty, Chairman of the Eastcote Village Conservation Area Advisory Panel. By the mid to late 2000s it became apparent that there were serious plans afoot for the whole area (ie Eastcote House Buildings and Gardens which included the Stable Block) to be improved under a local Council (London Borough of Hillingdon) Conservation Management Plan, the Stable Block itself to be refurbished for community use. 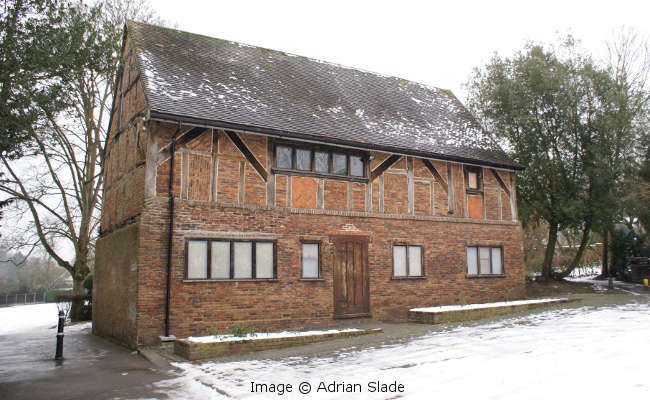 The Billiards Club, as occupants of the Stable Block and long time tenants of the Council, enjoyed some protection under the terms of its lease, insofar as the Council had an obligation to relocate the Club should the Club be required to vacate the building. 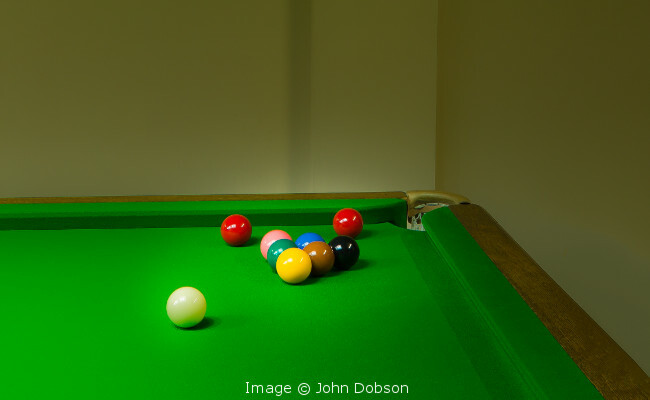 2011 saw the start of a number of meetings between Council officers and the Billiards Club negotiating sub-committee in order to find suitable premises for the Billiards Club. 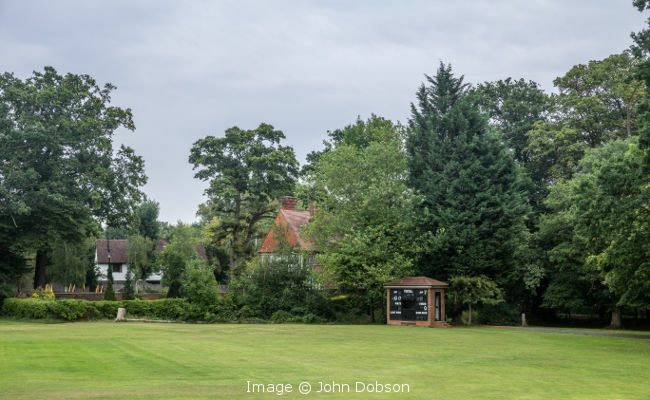 A number of options were considered including the erection of a modular building in the Haydon Hall grounds adjacent Eastcote Cricket Club. In the event, an existing building on the site (a Decontamination Block) was offered and after site visits was felt to be of just about an adequate size to house the two Billiard tables and associated paraphernalia subject to considerable internal modifications being made. It was fortunate for the Club that its negotiating team, consisting of the then Chairman, Hon. Secretary and Hon. Treasurer (Steve Rawles, Fred Greenstreet and John Nutkins respectively) possessed between them the necessary talents to successfully negotiate an outcome satisfactory to both parties. In particular, Fred's knowledge regarding many aspects of building and Building Regulations proved to be crucial. It was finally agreed that the Council would refurbish the interior of the building to conform with Building Regulations and handle the legalities of change of use and that the Club would contribute £8000 towards the costs which the Council agreed could be paid in instalments over the 15-year term of the lease. The refurbished building was handed over to the Billiards Club in late 2012 whereupon, under the leadership of Fred, Club Members formed working parties over the next several weeks to carry out internal decorations, fit out the kitchen area, lay carpets and install fixtures and fittings. 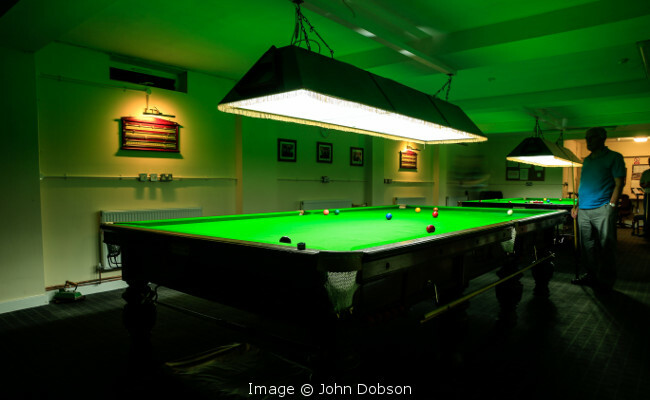 In February 2013, a professional firm was contracted to dismantle the Club's Billiards tables in the Stable Block and transport and re-erect them in the new premises. Thus our occupation of the old building ceased after 75 years. At the time of writing (November 2015) the Club is thriving with a Membership exceeding 50 and the premises being used most days. The Club is administered on behalf of its Members by an elected Committee, and in accordance with tradition the Members themselves maintain the premises in good order. There are no paid staff, the only hired contractual work being for specialist services such as Billiard table fitters, gas boiler servicing etc. 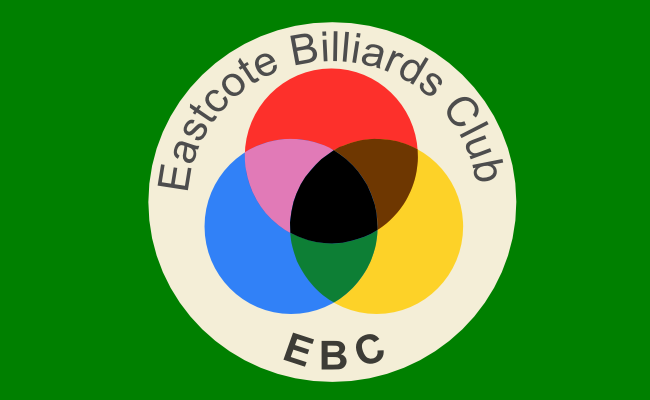 Eastcote Billiards Club is one of the oldest continuously functioning institutions in the local area and although these days Snooker is the predominantly played cue game (on a full sized table) the Club has retained the original Billiards in its name. Very little is known about the location of the original Eastcote Working Mens' Institute and the building(s) in which it was housed, other than, according to popular belief, that it was somewhere in Joel Street (adjacent its current location). The Minute Books of the Eastcote Billiards Club covering the period 1927 to 1986 and some other important documents have just come to hand and these will be studied to see if they shed any light on this aspect of the early history. In 1938, the Institute was moved at the behest of the Council to Eastcote House, the Billiards section being housed in the Stable Block. Eastcote House was built in 1697 by the Hawtrey family, who also built Chequers. The House itself was replaced in the late 19th Century after the original was damaged by fire. After the Institute was wound up in the 1950s the House was unoccupied and after many years of neglect it and other buildings were demolished in the 1960s leaving only the Stable Block and the Dovecote (the latter being used for many years afterwards as a storage for gardening machinery and associated items). It is a testament to the Billiards Club and its Members during their 75 year tenure that the Stable Block did not suffer the same fate as the House. The Decontamination Block, the home of the Club since February 2013, shares its somewhat sinister name with the outward appearance of the building although with the much appreciated refurbishment work carried out by the local Council and subsequent decorating and fitting out by its Members, its internals have been transformed into a comfortable clubroom. Little is known about the origins of the Decontamination Block building itself and one can only speculate that it was built either during the latter part of WW2 or perhaps shortly afterwards during the "cold war" period. In the event it is a very solid structure consisting of a thick concrete floor (underneath the carpet!) and 13" solid brick walls. Although now of no particular interest to or concern of the Billiards Club, it is worth noting that since its departure, the Stable Block has been transformed into a venue suitable for community use and on the site of the original Coach House (adjacent the Stable Block) a new building housing a restaurant/tearoom has been erected. 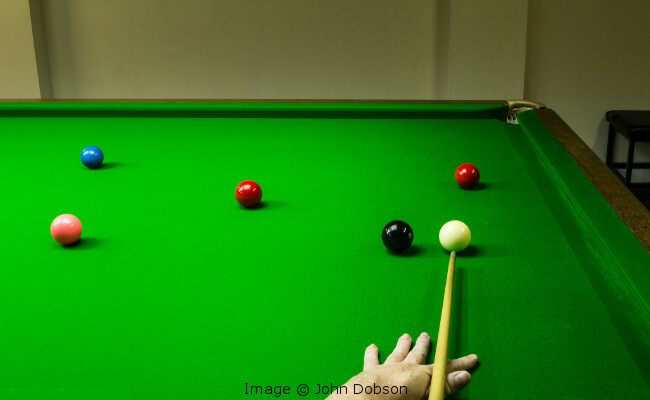 In the mid 1960s, the Club joined the local Harrow and District Snooker and Billiards League and ever since has fielded a representative team as well entering Members into the various individual competitions. Soon after moving to its current location, the Club was approached by the captain of the ex Kodak Recreation Society team (one of the founder Harrow League teams) to see if they could use the Club's facilities. This was readily agreed and their team are now full Club Members playing as an autonomous unit under the banner of Eastcote Tigers. 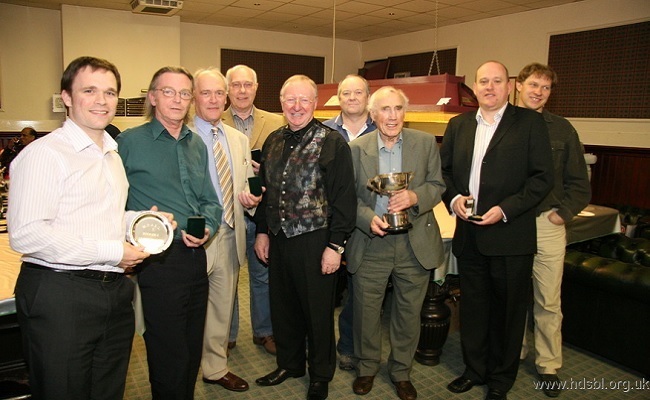 As an indication of Members' dedication to the games of Billiards and Snooker, six Club Members have served a combined 185 years on the Harrow League's management committee. Mindful of the interest often expressed in the Stable Block whilst the Club were the incumbents, the Club always tried to co¬operate with conservation and other community groups who wished to view the inside of what is one of the oldest structures in the immediate area. In the past, school visits were a regular event and the building was made available for events such as St George's Day and for a production of Twelfth Night by a local secondary school. In the last few years before departure from the Stable Block, the Club participated in the annual London Open Houses Weekend programme, volunteers from the Club Membership being on hand for the duration. The old minute books and other items that recently came to hand have now been examined and they provide an interesting and valuable insight into the workings of the Club. However, the minutes mostly record the rather mundane workings typical of any Club and unfortunately contain no references as to the precise whereabouts of the Club premises prior to the move to the Eastcote House Stables in 1938. Perhaps surprisingly, the minutes contain no specific references to any negotiations with the Council that must surely have taken place in the period leading up to, during and immediately after the move. However, amongst some of the other documents are copies of leases with the local Council. Information passed from Member to Member over the years has given the impression that the previous Club premises were in Joel Street. However, two items cast some doubt on this (or perhaps lead to some confusion). 1. A handwritten letter dated 21-Sep-1968 from a Mr Jaques (Hon. Treasurer for many years) to the Hon. Secretary informing the Committee of his pending move away from the area in which he also states that “...it is going to be a wrench for me to leave the Club with which I have been associated since its original position in the High Road and later in Wiltshire (ie Wiltshire crossed out) Fore Street”. 2. On Ordnance Survey maps (25" to the mile published in 1913 and 6" to the mile published 1916) a building is shown, located on the opposite side of the road to the Black Horse public house in Eastcote Village. It is annotated as "Institute" (see attached) and as it is in Eastcote High Road it would seem to corroborate the wording in Mr Jaques' letter. The building occupied a position between the current location of the petrol station and Fore Street. The following are some of the other items of interest. 1. At the 1991 AGM, the Hon. Treasurer reported that the Eastcote Village Trust had been wound up and as a result the Club had benefited to the tune of £634.50. 2. It was not until 1964 that the Club could boast 2 full size Billiard tables. In 1959, Mr WS Bragg proposed that 2 full size tables be obtained but it took some 5 years for this to come to fruition during which time one table was purchased and put into storage and a second table was obtained from the United Free Church in Pinner in 1964. 3. The Club applied for membership of the Harrow & District Snooker & Billiards League in 1964 and was accepted for the 1964/5 season. It is likely (although conjecture) that the Club would have applied for Membership earlier than this but was prevented from doing so for lack of full size tables. Congratulations to Karl Townsend, the Eastcote Tigers team No. 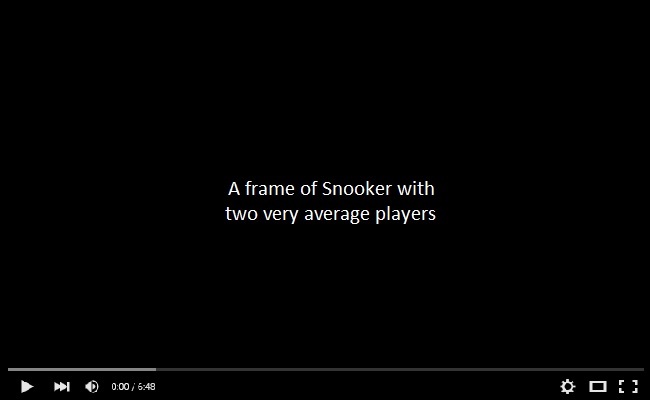 1 on making a maximum 147 break in practise at Southall Conservative Club. Also Karl became the League's individual Snooker champion, beating Jamie Rous of the Fairview Club 4 - 2 in the final at the Brentham Club on 14-May-2016. 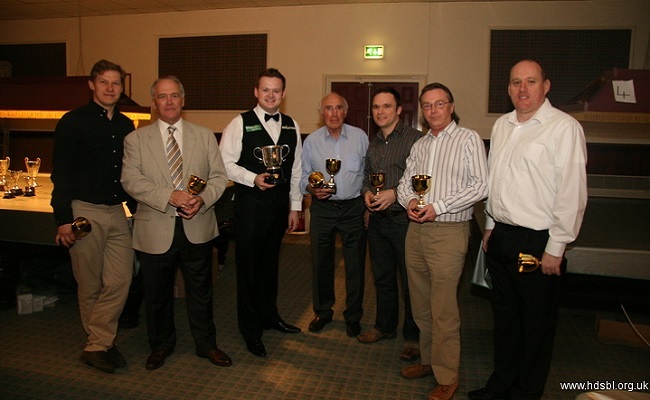 Eastcote Tigers team won the handicap Snooker knockout competition for the Poore Cup, beating the Fairview club in the final. 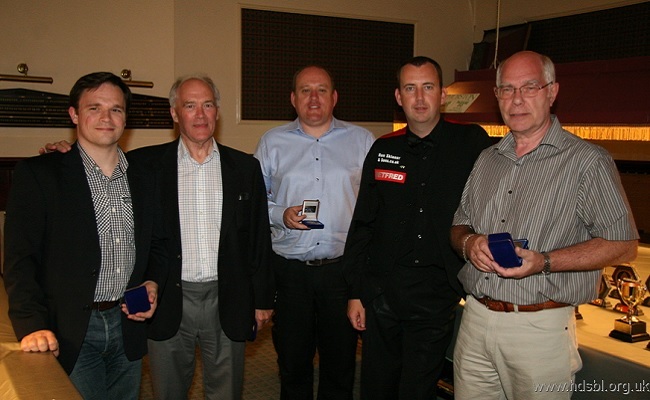 Members Steve Russell and Chris Bradshaw reached the final of the League's Seniors' Snooker knockout competition. Chris prevailed 3 - 1 in the final. Congratulations to Karl Townsend, the Eastcote Tigers team No. 1 on making a 116 break at the Club in the penultimate match of the League's season. This is thought to be the first century made at the Club (in either the previous or present clubhouse) - it is certainly the first by an Eastcote Member in a League match although other Club Members have made centuries in practise at other venues. Congratulations to Steve Russell on winning SIBL Division 1 for the 4th. consecutive year and to Barry Shine on winning the handicap knockout competition. Congratulations to Karl Townsend for reaching the final of the League's individual Snooker championship losing 4 - 3 by the narrowest of margins - his opponent doubling the final black. Congratulations also to Chris Bradshaw who successfully defended the League's Seniors' Snooker knockout competition that he won last season. Chris beat fellow Member Adrian Slade 3 - 1 in the final. Congratulations to Steve Russell on winning SIBL Division 1 for the 5th. consecutive year. If you would like to consider becoming a Club Member to play Snooker or Billiards please make initial contact by using the form below or enquire at the club premises. However, please note that currently we are full and a waiting list for Membership is in operation. Website designed, developed and hosted by PinnStream Ltd.